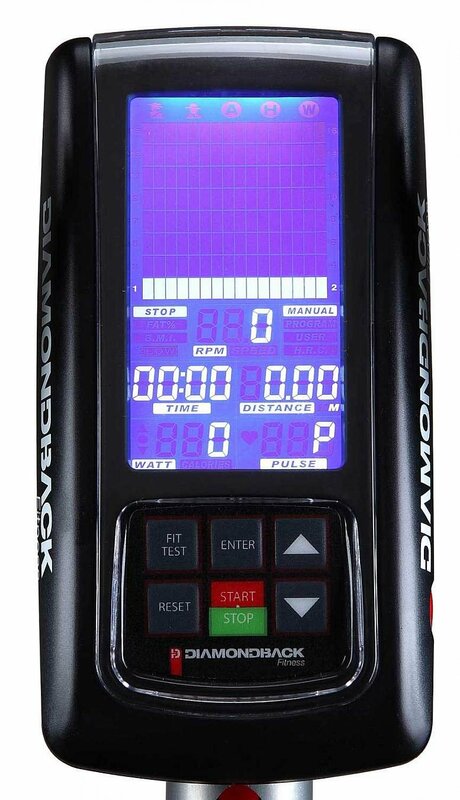 The Diamondback Fitness 510Ic Indoor Cycle is a state of the art electronic cycle. The 510Ic can be used to satiate one’s desire to either burn some fat or maybe put on a little on muscle on one’s leg through a bit of a resistance training. The 510Ic comes with many features such as an electronic LCD display to help one alter the settings to what’s preferable and even has heart rate sensors to depict whether one is working too hard or not hard enough. On Amazon, the 510Ic is priced at approximately $799 with free shipping for all customers, including non-prime users. An LCD screen for easy access display. 16 levels of resistance to accommodate one’s need for a challenge. A contact heart rate sensor to be able to depict the intensity of one’s workout. The Diamondback Fitness 510Ic Indoor Cycle comes with many benefits to help accommodate for one’s fitness goals and desires. Foremost is the structural integrity of the machine. Along with the fact that it’s designed for a smooth workout, testimonials have stated that it’s quiet, smooth, and extremely stable. All of the assembly parts for the 510Ic are of extremely high quality metal leaving little room for susceptible deterioration. In addition, the product is also extremely light and very compact, leaving the consumer with leisure and ease to store the product as he or she pleases. Weighing only 127 pounds, the 510Ic can easily be carried by two people to the desired area. The dimensions of the 510Ic are 48 x 24 x 40 inches (length, width, and depth) allowing for it to be stationed appropriately at just about anywhere in the house. To support the storage process even more are the wheels on the bottom of the bike. One can easily move the bike from one area to another without even needing another person for help. It just requires the consumer to roll the product along the floor, and station it where he or she desires. Testimonials have also stated that the bike is extremely quiet, allowing for one to still be able to listen to his/her surroundings while (s)he is exercising. The cycle also has adjustable seats and handlebars to allow for accommodation to the size of the user whether (s)he is short or tall and has a cup holder along the base of the machine for easy access to rehydration. The electronic components of the cycle are also that of top tier. The LCD display allows for the user to easily access the settings so that respective alterations are allowed to be made. Whether the resistance needs to be increased or the user wants to check the recorded data, the LCD display is the exact type of features one would desire in order to achieve this. There are also 16 levels of resistance that gives the user control over how intense (s)he would like her work out to be. However, if one wants to verify if (s)he is working too hard or too little, the heart rate monitor is there for him/her to check on that. All data is shown on the LCD display in order for the user to have constant and easy updates. The 510Ic also comes with 14 preset workouts for the user to utilize if (s)he has a specific goal to achieve. At the press of a button, the workout is ready. There are also some drawbacks for the Diamondback Fitness 510Ic Indoor Cycle. For one, it is important to note that this is not the casual indoor bicycle one would casually use while watching TV for instance. This is a spin cycle that has an individual catching his/her breath after 30 minutes of using. The 510Ic is more for the needs of people who are professional trainers and athletes rather than someone who is casually trying to lose weight or increase their cardiovascular health. Testimonials have stated that the structure of the 510Ic could use a bit more buffing. One review stated that the cranks are of very close proximity to the spinner itself, therefore leaving the ankle very susceptible to constantly collide with the spinner. Another testimonial stated that the cycle’s sixteen level of resistance is still rather low for those who want to professionally train themselves. If one were to practice cycling for the sake of going uphill, a resistance of sixteen is not enough to accommodate for that specific condition. Another drawback is the height of the adjustable handlebar. Another testimonial stated being six feet tall; the adjustable handlebar was still too short to maintain a comfortable workout. The Diamondback Fitness 510Ic Indoor Cycle is indeed a state of the art bike that helps the user in reaching the user’s fitness goal. The many features the cycle comes with, such as the LCD display and the heart rate monitor, is all the more reason the consumer should buy the product. Not only does the 510Ic allow for the user to exercise with ease, but it gives the user total control over how intensive the work out plays out to be. Of course, there are drawbacks that should deter certain people from buying the cycle, but if one were to weigh the merits and the drawbacks, it is easy to see that the merits outweigh. 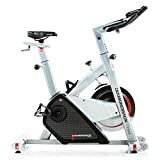 If one were to want to casually exercise rather than do a training of some sort, then perhaps the Sunny Health & Fitness Pro Indoor Cycling Bike is a product to suit your needs more. If one wanted the 510Ic with a more adept adjustable seat, then the Sole Fitness SB700 Exercise Bike will suit your needs better. However, if one finds that the 510Ic fits his/her needs the best, then it is absolutely worth the price!